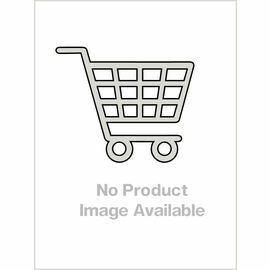 The book consists of all Lakshmi Pujan related matter i.e. 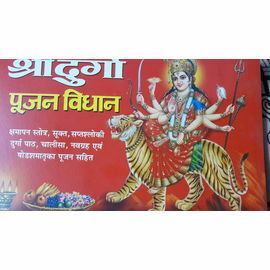 Shri Sukta, Kanakdhara Stotra, Mahalaxmi Ashtkam, Laxmi Sidha Karne Ke Anubhut Mantra etc. Also the list of the particulars which come in use at the time of pujan is given. Lakshmi, the goddess of wealth and Vishnu's wife, visits her devotees and bestows gifts and blessings upon each of them. To welcome the Goddess, devotees clean their houses, decorate them with finery and lights, and prepare sweet treats and delicacies as offerings. Devotees believe the happier Lakshmi is with the visit, the more she blesses the family with health and wealth. We are giving detailed Lakshmi Puja Vidhi during Diwali. 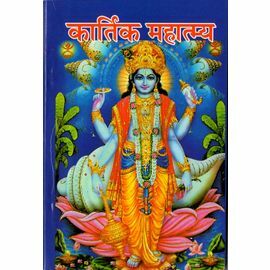 Laxmi Pujan Swayam Kare / Laxmi Pujan Ki Saral Vidhi The book consists of all Lakshmi Pujan related matter i.e. 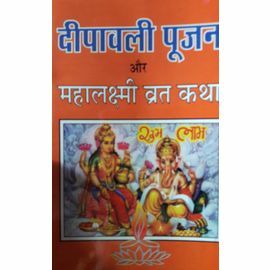 Shri Sukta, Kanakdhara Stotra, Mahalaxmi Ashtkam, Laxmi Sidha Karne Ke Anubhut Mantra etc. Also the list of the particulars which come in use at the time of pujan is given. Lakshmi, the goddess of wealth and Vishnu's wife, visits her devotees and bestows gifts and blessings upon each of them. To welcome the Goddess, devotees clean their houses, decorate them with finery and lights, and prepare sweet treats and delicacies as offerings. Devotees believe the happier Lakshmi is with the visit, the more she blesses the family with health and wealth. We are giving detailed Lakshmi Puja Vidhi during Diwali.